Is This The Bravest Man In The Universe? Just Watch And Believe. To call this guy brave would be a huge understatement. 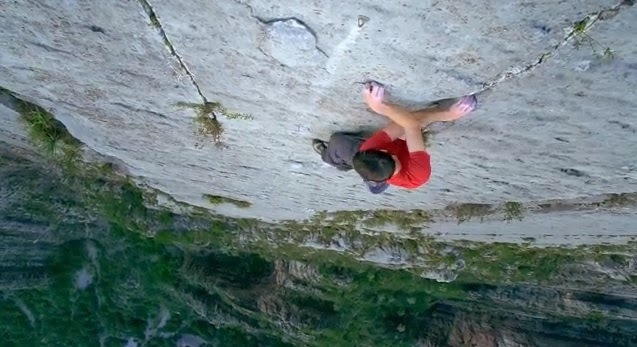 Alex Honnold, a professional rock climber takes the definition of courage to a whole new level. As we in the internet world calls it, he's got "great balls of steel". Just recently, he climbed a steep limestone wall in Mexico that rises nearly 2,000 feet. And he did it without ropes and gear. One wrong move and he would've fallen to his death thousands of feet to the ground below. Watch Alex in action below. Warning: not for the faint of heart. Just imagine that you are Alex and you are looking down this steep rock wall over a thousand feet above the ground.